This tweet might be a reference to NORTH BY NORTHWEST. Which isn't a screwball comedy. So, why do I care? Why post it here? 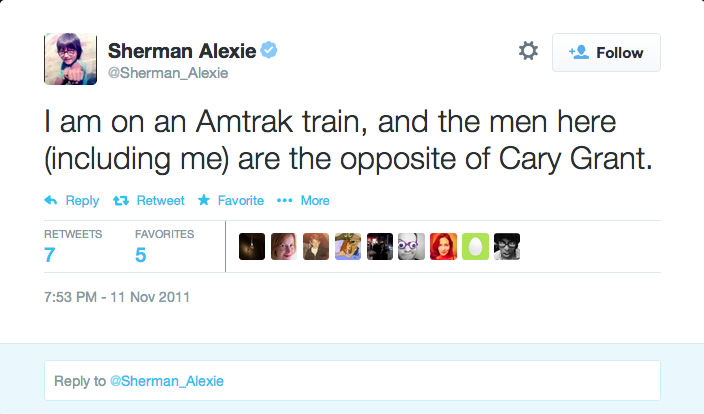 Well, you can find a good amount of both trains and Cary Grant in screwball comedies - oddly, not at the same time. Plus, screwball tends to be the opposite of everything contemporary Amtrak too. Style-wise. And that is the behind-the-scenes story that led to my sharing this tweet as a post here on this blog. I know. I just took a perfectly pithy tweet and pooped all over it.